Other Notes: Pale Ale-ish (Fruit Rye IPA-ish). Malts – Pils, Crystal and Rye. Hops – Apollo, Simcoe and Cascade. Dry Hopped – Cascade, Citra and Mosaic. Other – blood orange zest. Brewer Description: (from website) 160 Kilos of blood oranges were butchered for the bloodthirstiness of a new creation in the brew house. 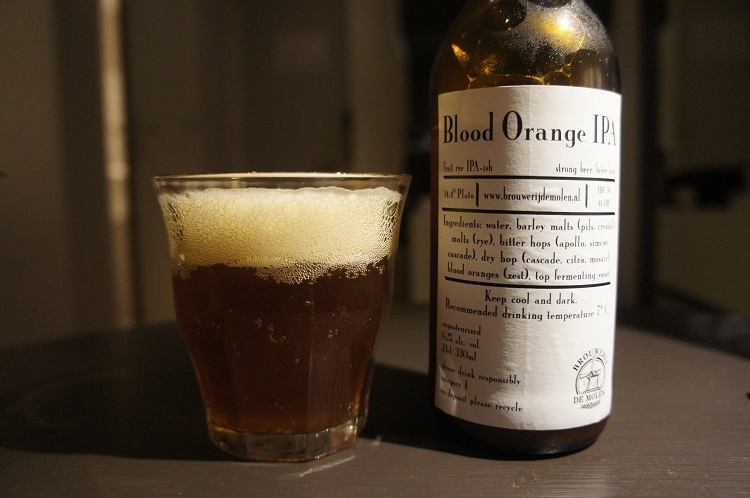 Blood Orange IPA. Dryhopped with Citra, Cascade and Mosaic. Intro: A 330ml bottle, self described as a pale ale-ish, fruit rye ipa-ish beer, bottled on 10th March 2016, poured into a small water glass (all they had at the hotel). Appearance: It poured a slightly hazy copper orange colour with a two finger beige head that had good retention and lacing. Aroma: Sharp orange peel, pine and a hint of tropical pineapple. Taste: Orange, orange peel, caramel malt and a touch of pine. 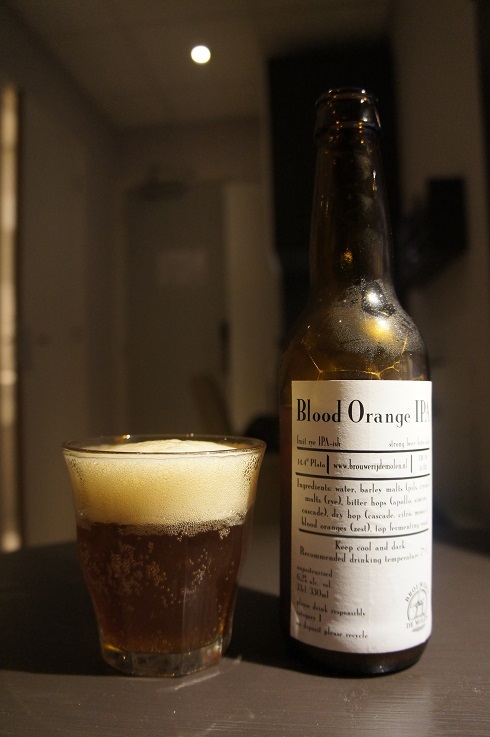 Overall: Easy to drink, but I’m not getting as much blood orange as I would have liked. 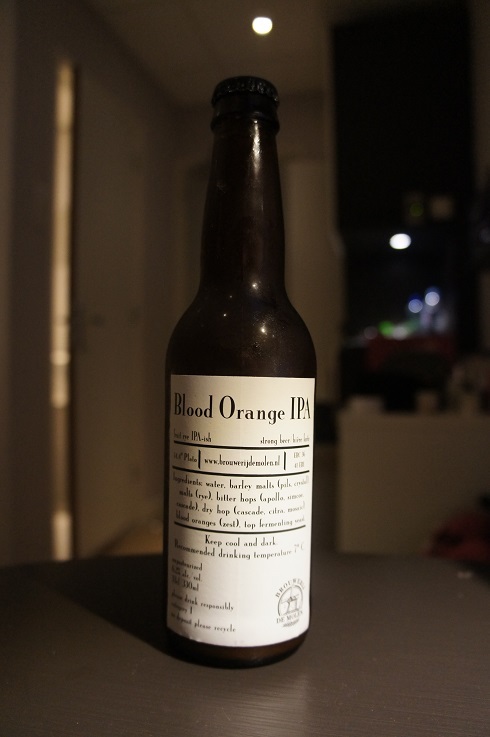 Only noticed after drinking and looking carefully at the bottle that the ingredients appear to state that only the zest of the blood orange was used. 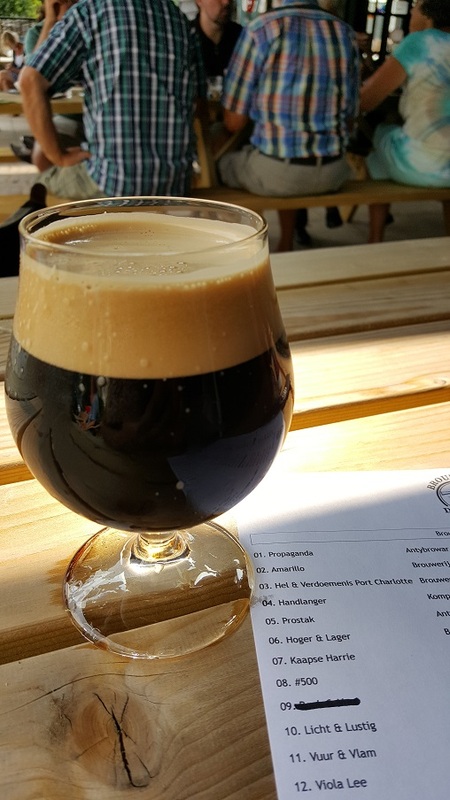 Other Notes: Smoked Imperial Stout-ish. Malts – Pils, Caramel, Chocolate, Roasted and Brown. Hops – Saaz and Columbus. 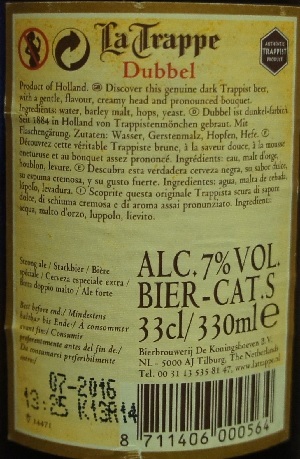 Brewer Description: (from website) We were looking forward to this beer… and it turned out we were right to. With 11% ABV it’s a strong beer for beer lovers that enjoy their peated flavors. The original bitter coffee and chocolate flavors of Hel & Verdoemenis (translates as Hell & Damnation) are enriched with the peat, woody, roasty tastes of the exceptional Port Charlotte barrels. The beer aged in these barrels for over 6 months. About Port Charlotte – Two miles south of Bruichladdich (Scotland), lies the village of Port Charlotte and ruins of Lochindaal Distillery, that ran spirit for 100 years between 1829 and 1929. The heavily peated Port Charlotte single malts of Bruichladdich are a tribute to the men who once worked this great, now silent, distillery. The spirit is matured in wooden barrels of the original old stone warehouses in Port Charlotte. 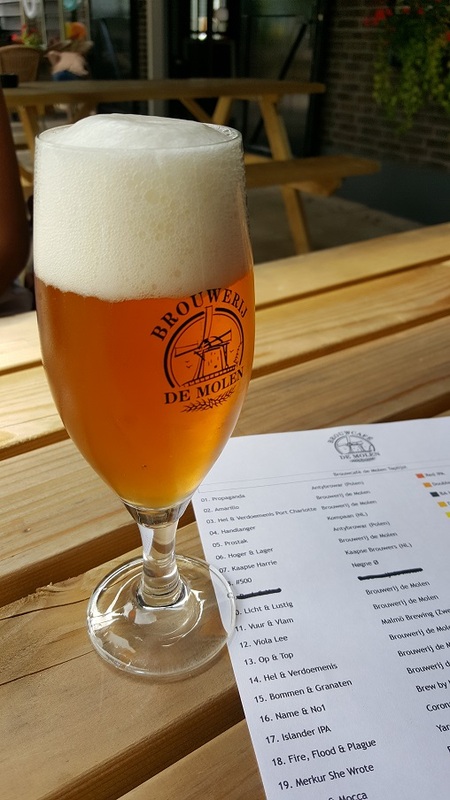 Intro: On tap at Brouwcafe de Molen, into a De Molen snifter glass. Appearance: It was black in colour with a two finger beige head that had good retention and nice lacing. Aroma: Whisky, chocolate, coffee, wood and liquorice. Taste: Peat, whisky, coffee, chocolate and oak. Mouthfeel: Full bodied with low carbonation. Overall: Brilliant! The base H&V was already very good. I thought that barrel aging it in peaty Port Charlotte barrels was even better as the nice peat and whisky notes make for a great sipper. 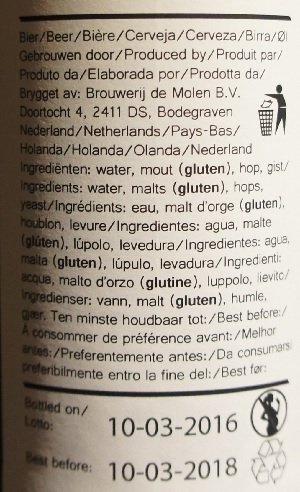 Brewer Description: (from De Molen taplist) Hoppy lager. 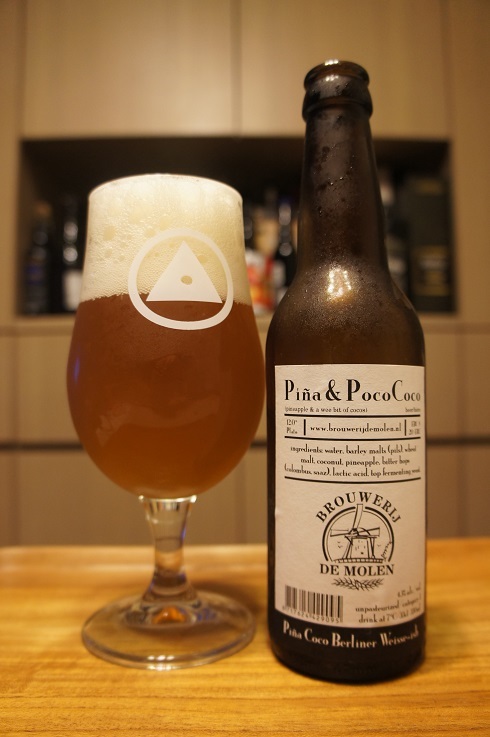 Intro: On tap at Brouwcafe de Molen, into a De Molen tasting glass. Appearance: It was a clear golden orange colour with a two finger white head that had good retention and excellent lacing. Aroma: Honey, flowery, juicy fruits, mango, peach, lemon and grass. Taste: Sweet and bitter, lemon, grapefruit and grass with a hint of mango. Overall: A nice crisp and refreshing hoppy lager. 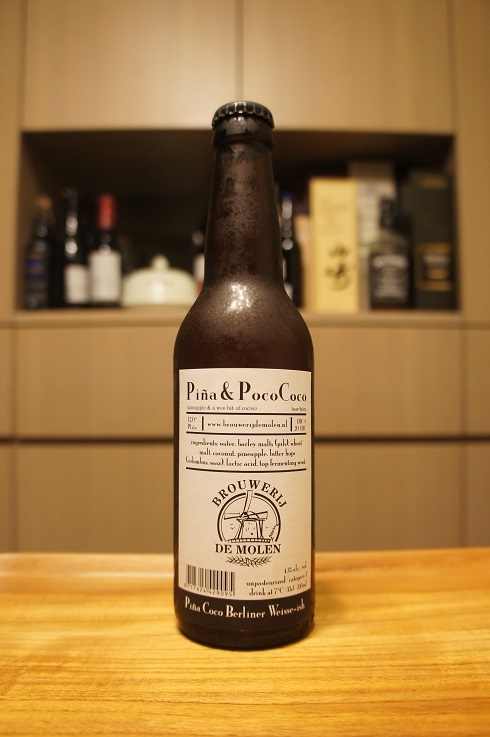 Brewery: Bierbrouwerij De Koningshoeven B.V. 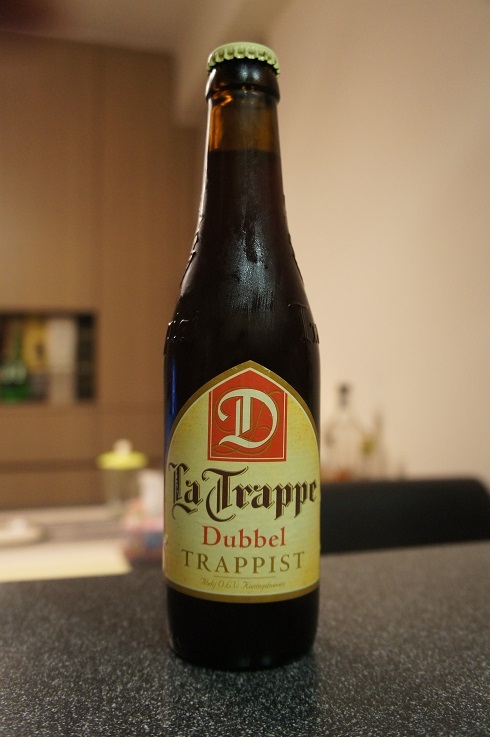 Brewer Description: (from bottle) Discover this genuine dark Trappist beer, with a gentle, flavour, creamy head and pronounced bouquet. Intro: A 330ml bottle with a best before date of July 2016, poured into a Chimay goblet glass. Appearance: It poured a deep dark brown / amber colour with a one finger beige head that dissipated fairly quickly but left nice lacing. 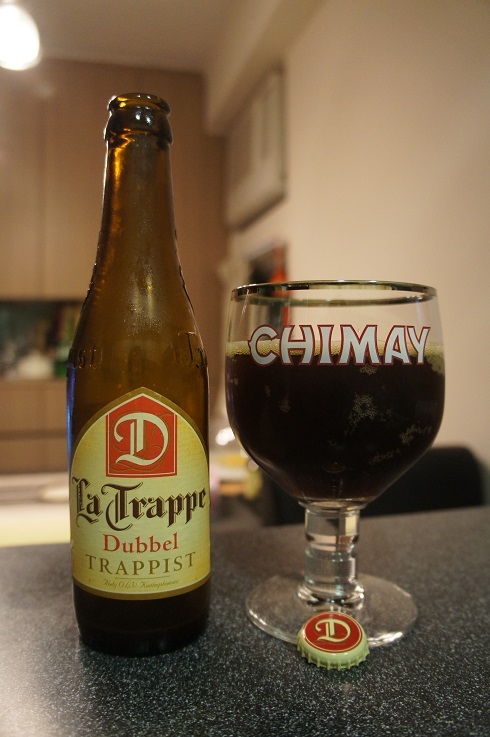 Aroma: Raisins, dried cherry, toasted malts, caramel, toffee and bubblegum. Taste: Sweet dark stone fruits of plum, prunes, raisin and cherry, grape juice, banana and a light toffee finish. 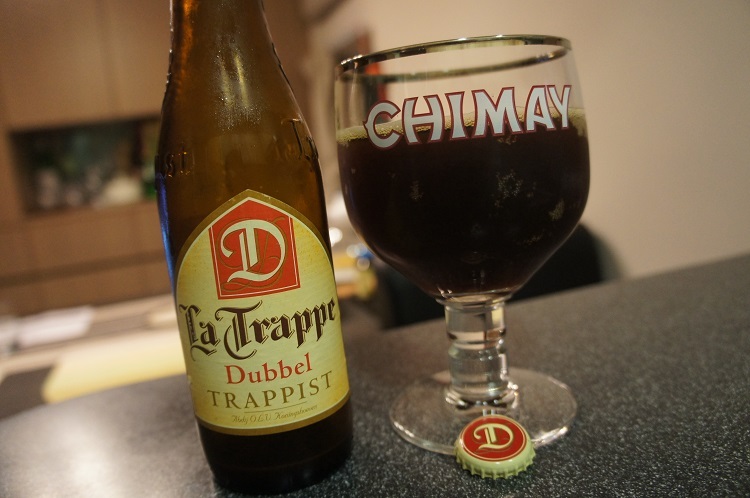 Overall: A very nice Dubbel that is tasty and easy to drink.